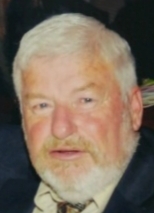 Raymond D. Teske, 76, of Fleetwood, passed away on Thursday, January 17, 2019 at Penn State Health, St. Joseph Medical Center, Bern Township. Born October 17, 1942 in Benson, Minnesota, he was the son of the late Mary Ellen (Hughes) and Raymond E. Teske. He and his wife of 52 years, Carol J. (Kuhns) Teske, were married on December 31, 1966. Raymond served his country honorably and faithfully in the United States Coast Guard. Raymond was a systems analyst for over 20 years for NEAPCO, Pottstown and had also worked for Mack Trucks, Bethlehem Steel, CNA and General Battery. He graduated from DeLasalle High School, Minneopolis, MN and loved boating and the Philadelphia Eagles and Phillies. In addition to his wife, Carol, Raymond is survived by his two sons, David G. Teske, husband of Therese M. (Risbon) Teske, Fleetwood and Patrick C. Teske, Fleetwood. He is also survived by his grandchildren, Christopher, Elizabeth and Abriella and his brothers, Lawrence Teske, Phoenix, AZ and James Teske, St. Cloud, MN. Along with his parents, Raymond was preceded in death by his sister, Kathleen White, his brother, William Teske and a brother in infancy. A Memorial Service for Raymond will be held on Saturday, April 27, 2019 at 11:00 am at Walbert Funeral Home & Cremation Services, PC, 14390 Kutztown Road, Fleetwood, PA, with the Rev. Patrick W. Morris, officiating. Inurnment with United States Coast Guard Military Honors will follow at 12:00 noon at St. Paul's Union Church Memorial Columbarium, located at St. Paul's Union Cemetery, Fleetwood. Contributions may be made in Raymond’s memory to the Coast Guard Foundation, 394 Taugwonk Rd, Stonington, CT 06378 or to the American Heart Association, PO Box 15120, Chicago, IL, 60693. Walbert Funeral Home & Cremation Services, PC, Fleetwood, is honored to be caring for Raymond and his family. Online condolences may be offered at WalbertFuneralHome.com. There's still time to send flowers to the Memorial Service at the Walbert Funeral Home at 11:00 AM on April 27, 2019.